Almino has turned into a disaster for many parts of the country, but here in Upper Michigan it has created a spectacular winter. This has allowed me to fire up the grill more than I normally would. 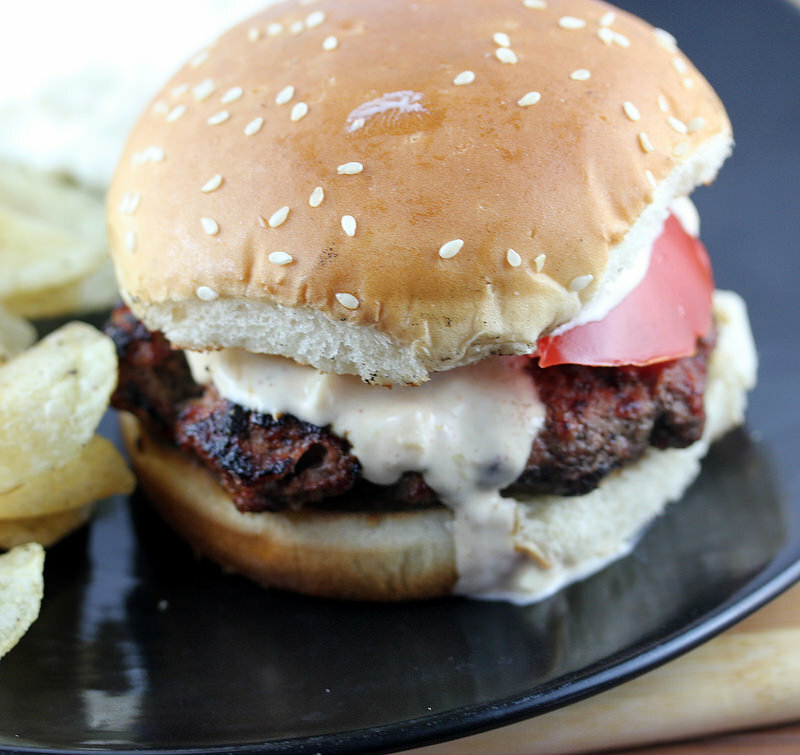 This Smokehouse Burgers with Salsa and Horseradish Sauce recipe is simple to put together, has a unique smoke flavor, and cooks quickly so you can have them on the table in less than an hour. 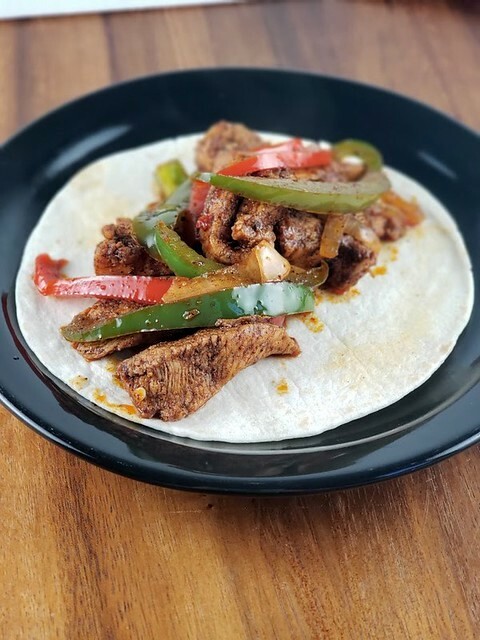 I used Applewood chips in this recipe but you can use what you prefer, or whatever is available. in a small bowl mix together the mayo, sour cream, horseradish, garlic, and mustard. 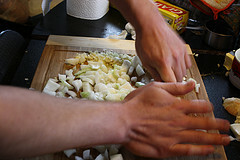 Add the hot sauce, salt, and pepper to taste; set aside. Place wood chips on top of a piece of aluminum foil large enough to form a packet, seal, and cut slits in the top of the foil to release the smoke. Place the packet between the grate and primary burner. Preheat the grill on high heat with cover closed until wood chips are smoking; prepare the grill for cooking. While grill is heating, in a large bowl using your hands, mix together the burger, salsa, onion powder, and garlic powder until well combined. Divide mixture into 4 equal size burgers and sprinkle with salt and pepper. 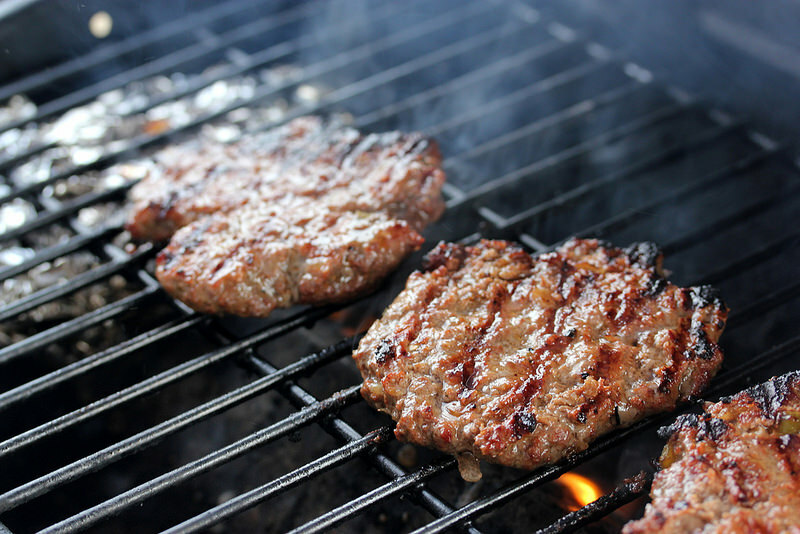 Place burgers on grill, close cover, (do not place any burger directly over foil packed) and grill on high heat until burgers are nicely browned and slightly charred on both sides. Turn of all heat except for the burner under the foil packet. Continue cooking the burgers with indirect heat with cover closed until done (150F. 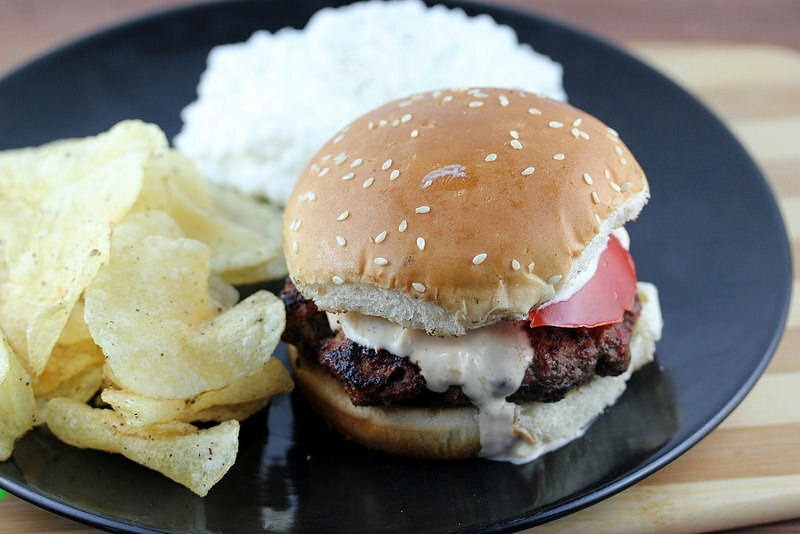 )Remove burgers from grill, tent with aluminum foil, and let rest for about 5 minutes. While burgers are resting toast cut side of buns on the grill. Serve with you choice of condiments with sauce poured over the top.